Since then he's waged an expensive legal fight against a politically-motivated Assistant State's Attorney who wanted 45 years to life from Love for killing his "unarmed" attacker. The two mens' worlds collided last June. A very intoxicated 19-year-old Hartman had rolled his pickup truck adjacent to Love's property, not far from the farmer's residence. When the farmer came out to offer help as a good Samaritan, Hartman attacked to prevent Love from calling police. Obviously, Hartman didn't want the police. In addition to the drunk driving issue, he would have found himself in hot water on his probation for a mob violence arrest from the previous year. In other words, Hartman had motivation to keep himself out of the clink. 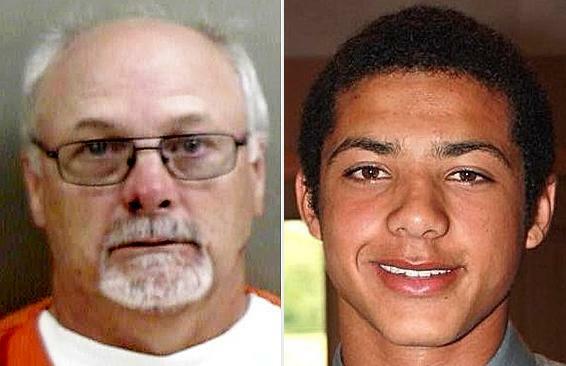 When attacked by the aggressive, stronger young man, the farmer drew a Ruger LC9s and tried racking it as Hartman pummeled him. Eventually he did get a round into the chamber and fired into the pavement to dissuade his attacker. Amazingly, Hartman pressed his attack against a drawn gun, post-warning shot. Certainly not the most rational decision, but Hartman's .234 blood alcohol level probably had something to do with that. As the farmer tried to retreat back to his home, the two struggled for control of the gun. As part of this, Hartman landed some blows about the farmer's head. Love fired a second warning shot as they grappled. Hartman still continued the attack – almost as if emboldened by the warning shots. Some have wondered if Hartman believed, after two warning shots, the farmer simply didn't have the guts to shoot someone. Meanwhile, Love told the court he worried he would soon lose control of the pistol to his attacker, so he fired a third time, "aiming" low. The round hit Hartman's thigh. Moments later, Hartman broke off the attack (it's remarkable how a gunshot wound can have that effect on an aggressor). Hartman ran a short distance before he collapsed and bled out in a ditch, long before police or medical help could arrive at the rural location. Testimony given at the trial and in an earlier court hearings portrayed young Mr. Hartman as a violent, volatile drunk, according to his friend. Indeed, Xavier had such violent, unpredictable tendencies that the friend said Hartman's own mother was scared of her son when he had been drinking. It was bad enough that Hartman's mother filed for an emergency order of protection against him in February, 2018. After the night of the shooting, the politically-connected family of the deceased kid had the ear of the Assistant State's Attorney Brian Kerr. Kerr had previously received an appointment as neighboring Henry County's state's attorney. He liked playing "god" when it came to charging decisions, but voters rejected him at the next election. One thing led to another and Knox County hired him. When the Knox County State's Attorney said he plans to retire at the end of his term, Kerr wanted to make a name for himself by prosecuting Love to raise his profile for the next election. Unfortunately for Brian Kerr's best laid plans to show off his prosecutorial prowess, few outside the deceased man's family wanted to see Love prosecuted. The sheriff saw it as a righteous shoot. The Illinois State Police recommended against prosecution. Even the grand jury refused to indict Love on first degree murder, though they did try to placate Kerr by returning a charge of involuntary manslaughter. But that didn't satisfy Kerr. So he took the very unusual step of re-filing the murder charges himself. In talking with the defense team, they told me (and the court) that they wanted a speedy trial. However, ASA Kerr delayed for several months. Why? He said wanted DNA test results from the Illinois State Police. And when the results came in, Kerr didn't even use them. After all, there was never any dispute who shot Hartman. 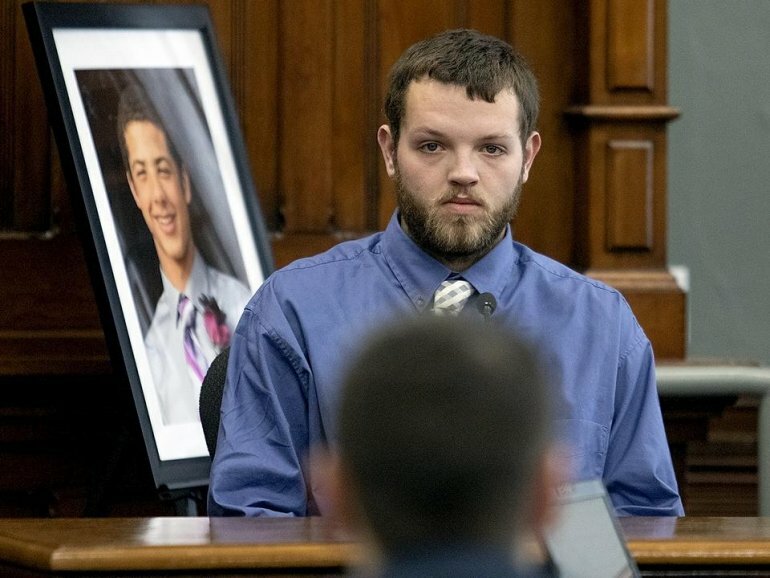 Meanwhile, as the pre-trial processes crawled along, Xavier Hartman's mother worked hard to craft a very sympathetic Facebook presence, demanding justice for her son's death. That's understandable. A grieving mother had lost her son. At the same time though, some might interpret her demands for justice as a call for vengeance against James Love. Indeed, James Love and his wife received a number of death threats after his arrest. None were prosecuted. Thankfully, no one acted upon those threats. And even as recently as Saturday, January 26th, the subtle threats continue in comments at the Peoria Journal-Star's story. Hartman's mother also furnished a rather innocent and youthful photo of her son for the media immediately after the incident. 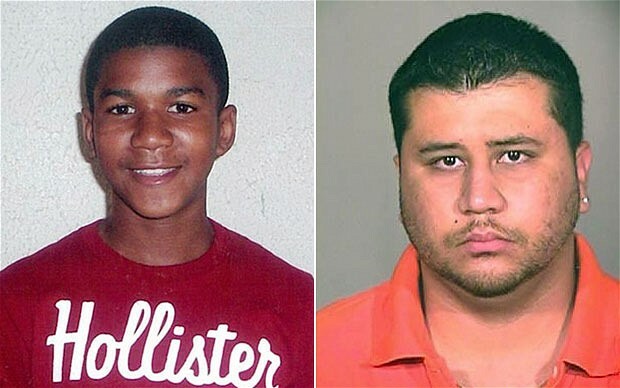 Plenty of folks saw similarities to the George Zimmerman/Trayvon Martin case out of Florida. 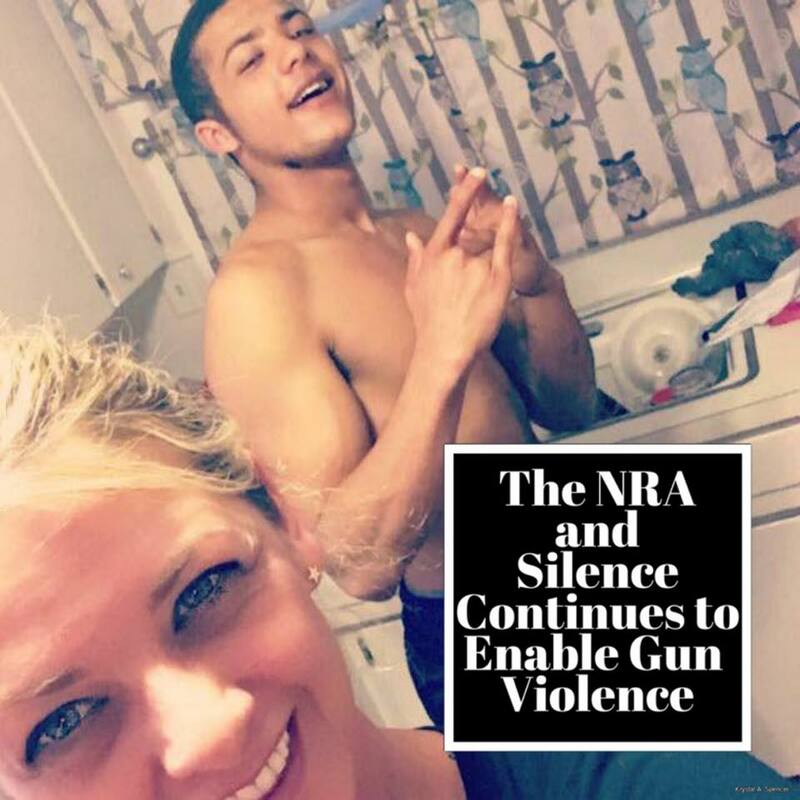 Much of the sympathy for Hartman's mother's sympathy began to evaporate when when she decided to adopt the tactic of anti-gun organizations and attack the millions of members of the National Rifle Association, blaming them for her son's violent death. 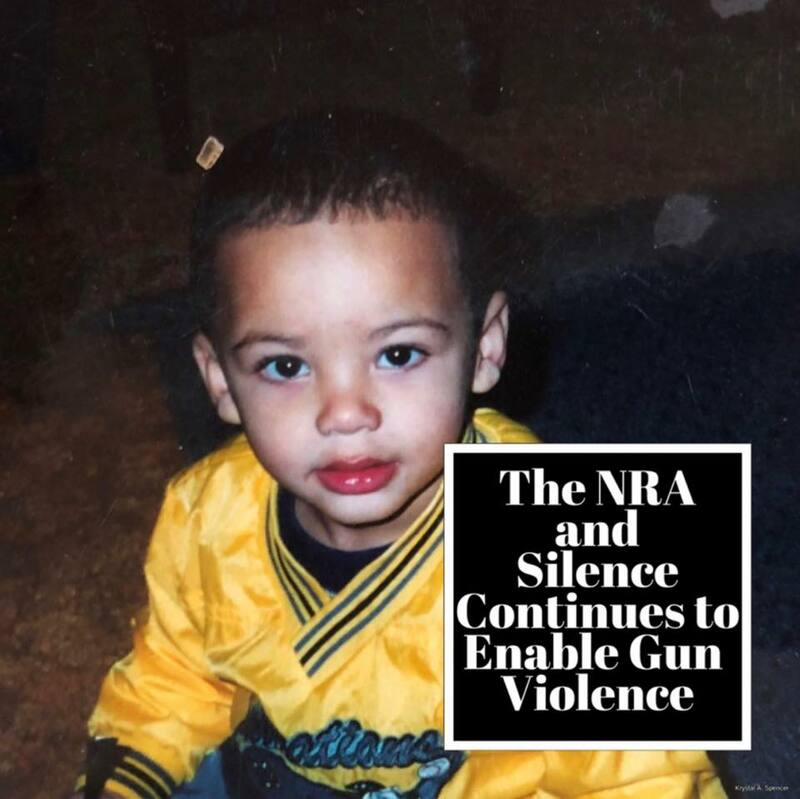 Obviously, the NRA had nothing to do with Xavier Hartman's death. 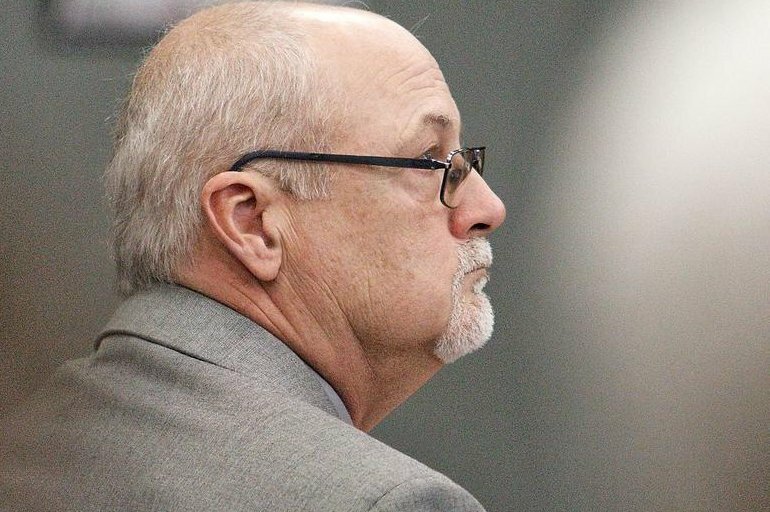 At the trial last week, prosecutor Kerr made a big deal about Love taking a pistol with him to the crash scene. "Who takes a handgun to a traffic crash?" Kerr asked the jury. It seems the anti-gun prosecutor has never lived in a rural area where police may need twenty minutes or more to respond to a call for help. Prosecutors also pointed to an entry wound in Hartman's lower leg as evidence of foul play. That particular round had entered behind the mid-line and lodged under the skin near the front of Hartman's leg. Almost in an effort to conflate the timeline, Kerr alleged that the farmer shot Hartman as the young man ran from the armed farmer. Love's legal team obviously disputed that claim, instead saying the wound likely came from a ricochet off the pavement during a dynamic struggle. Besides, they pointed out, a near-point-blank wound from a 9mm would easily penetrate a calf through and through. The Assistant State's Attorney's star witness was Hartman's buddy, who rode in the pickup truck with Hartman that fateful night. But Colyn Glisan testified that he saw part of the struggle and heard many of the same things the farmer mentioned in his statements to police. Glisan's testimony proved a boon for the defense team. He affirmed most of the account Love gave to police. And the defense team undermined and impeached other parts of Glisan's testimony as unsupported by the evidence. Prosecutor Kerr also, in earlier proceedings, tried to attack Love based upon Love's loading his magazines with hollow-point ammunition. Love's choice in ammo, Kerr claimed, indicated that he was looking for trouble and wanted to kill someone. One wonders if Kerr makes the same argument any time a law-enforcement officer in Knox County has an officer-involved shooting. The case went to the jury Friday mid-morning. Remarkably, the jury didn't even drag things out long enough to get a free lunch. In just over an hour, they retired to the jury room, selected a foreman, cast votes on the assortment of charges against Love, returned to the courtroom and gave their decision to the judge. Watch for an upcoming post on lessons we can all learn from this tragic case. This entry was posted on February 2, 2019 at 1:31 pm and is filed under GunNews. You can follow any responses to this entry through the RSS 2.0 feed. A bit off-topic but the mostly historically illiterate anti-2A mice and rats incessently blame the civil rights group the NRA for one reason and one reason only. They can't and won't blame (but sometimes they do show their true colors) the authors and proponents of the 2d Amendment to the Bill of Rights; James Madison, George Mason or Alexander Hamilton. They don't blame them because then they incur the risk of being perceived as anti-America and anti-Constitution which they are. Beto said so. The left wants to "fundamentally change" America. One way to do that is to disarm the people. A disarmed populace is typical of the world's most notorious despotism. And the left displays characteristics of authoritarianism. When governments disarm citizens liberty will be the first to be annihilated. The right to self-defense if the first law of nature. Preserve Liberty! Preclude Tyranny! Complete your Witness Slips Today!